It’s time to break out of your breakfast bubble. Cereal, bagels, bacon, toast and jam may be considered classic American breakfast foods, but are they giving you the nutrients and energy you need to fuel your day? 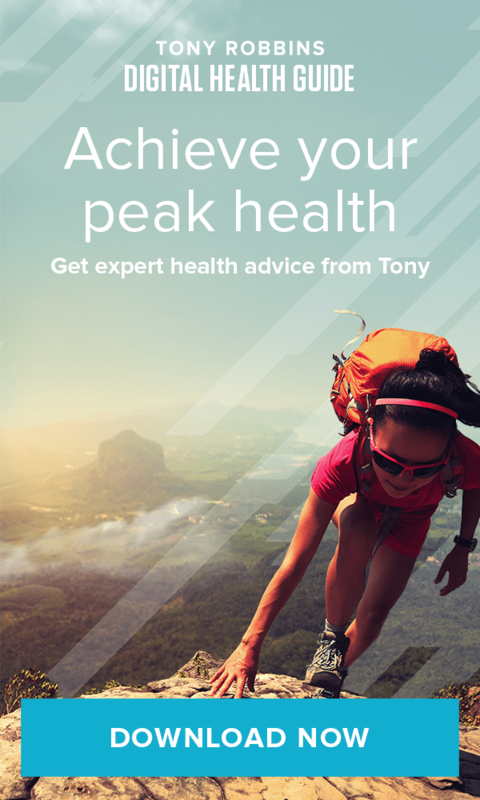 More often than not, the foods we’ve grown accustomed to eating in the morning are loaded with carbs, sugar and saturated fat, weighing us down and holding us back from reaching our full potential. That’s why Tony Robbins starts everyday by going green. Literally. His morning ritual includes a large bowl of greens topped with some of his favorite water-based veggies (cucumbers, radish, celery, cauliflower, peppers and eggplant top the list of high-water content vegetables), some avocado for a little healthy fat, and a lean piece of grilled fish. Yes, vegetables and fish for breakfast may sound completely unorthodox, but that’s exactly the point. Instead of waiting until later in the day to nourish your body with vitamin and nutrient-dense foods, why not use them to kickstart your day from the very beginning. Not only will you have extra energy to tackle the tasks that lie ahead, you will set the tone for the entire day, and setting yourself up for success is one of the smartest moves you can make. On its own, tofu has very little flavor. But it can easily absorb the flavors of other ingredients you pair it with, making it the perfect blank canvas to create a morning masterpiece. By crumbling tofu into a pan, sautéing it along with your choice of vegetables, and adding spices like cumin, turmeric and chili powder, you can create a delicious breakfast scramble. Or try blending tofu with fruit for a creamy, dairy-free breakfast smoothie? Tofu even works as a base for pancakes. This versatile protein is not only the perfect base for a delicious power-packed breakfast, it also is chock full of health benefits. Low in calories and cholesterol and high in iron and calcium, tofu provides your body with the energy and endurance you need to show up for the day as your best self. 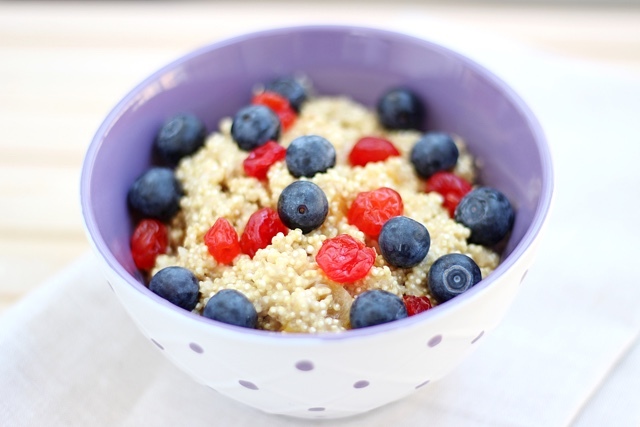 While quinoa is typically served alongside a main course or atop a salad, it also makes for a great breakfast option. Easily adaptable to either sweet or savory flavors, this ancient grain is perfect for those who prefer something heartier in the morning. Try mixing it with cinnamon, honey, sliced almonds and bananas to create a new version of breakfast cereal. Dress it up with toasted walnuts, fresh berries and a drizzle of agave nectar for a healthier version of a fruit crisp. Or consider pairing it with black beans and avocado to make a power-packed breakfast burrito. 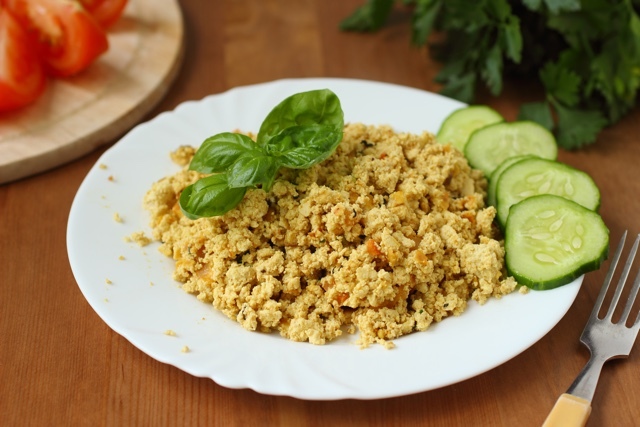 With quinoa, the possibilities are endless. And if you think this is too time-consuming, think again. You can make a large pot of quinoa Sunday night that will nourish you throughout the entire week. Dark leafy greens — these nutritional powerhouses are filled with vitamins, nutrients and minerals that will fuel you up without weighing you down. So why do most people wait to eat them for so late in the day? There are a number of ways to make greens the opening act of our day, and they don’t all involve green smoothies. For example — a fresh spinach salad with apples, pears and shredded coconut. Or, if you prefer a warm breakfast, try sautéing some kale or chard along with a few red potatoes. 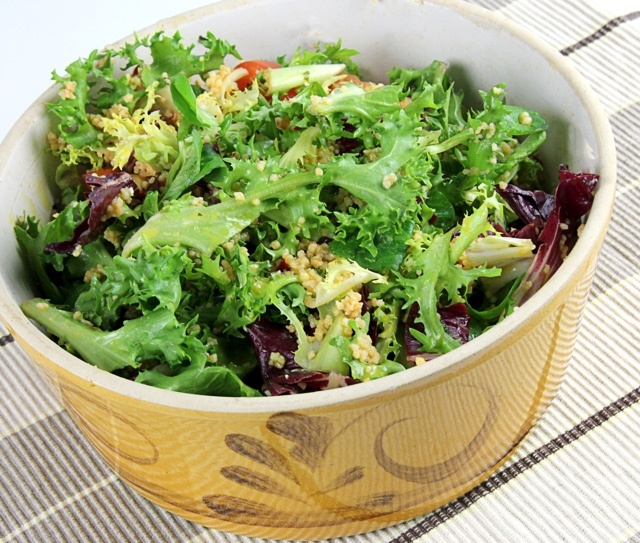 You can never get enough of these nutrient-dense, detoxifying greens. And by incorporating them into your morning routine, not only will you be satisfying your hunger, you will be feeding your body with exactly what it needs to run effectively and efficiently the entire day. Typically, we think of hummus as a healthy side dish or afternoon snack. But why not make it the star of your morning meal? A simple Middle Eastern dip of chickpeas, sesame, olive oil, lemon and salt, hummus is packed protein, fiber and a number of other essential vitamins and minerals that will not only nourish your body, but will help keep you feeling full for hours so you avoid excessive snacking. 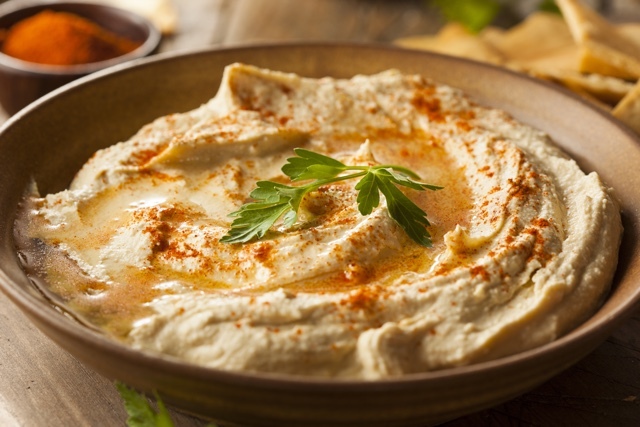 There is a wide variety of flavors to choose from (eggplant, garlic, artichoke, sun-dried tomato) but you can also whip up your own batch of fresh hummus in about five minutes flat. And while you’re at it, experiment pairing your hummus with vegetables and fruits — carrots, zucchini, apples and pears are all nutritious variations to the standard pita bread option. Instead of slathering a piece of multi-grain toast with jam or jelly, try drizzling a piece of sprouted grain bread with a teaspoon of olive oil then layering slices of creamy avocado on top. Not only will you avoid a sugar spike, you will be nourishing your body with nutrients and vitamins that are amiss from most typical breakfast choices. 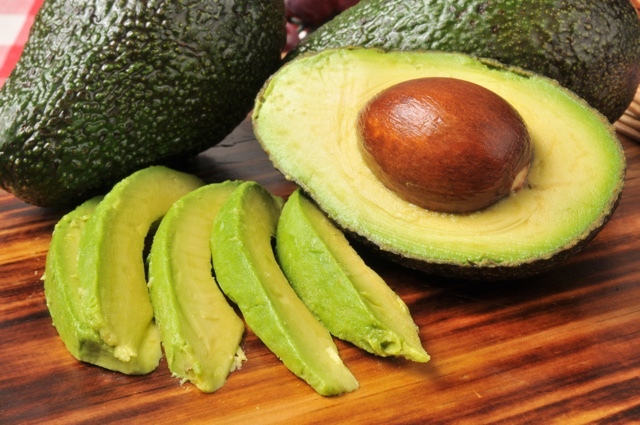 Apart from being a rich source of vitamin K, folate, vitamin C, potassium (even more so than bananas), vitamin E and B complex vitamins, research also suggests that avocados are associated with lower cholesterol levels, lower risk of diabetes, lower body mass index and lower chance of cancer. Avocado on toast is particularly convenient for those who find themselves rushing out the door in the morning. And think about it — if you’re so busy that you don’t have time to sit down and enjoy breakfast, you may need that extra burst of energy more than others. So take a few minutes to create a breakfast that’s delicious and nutritious. You may just find a change in your entire day. Rethinking breakfast may be daunting at first, but it also may be one of the best moves you can make. Health is a habit. And by shifting gears to find a better way to start your day, you’re finding a better way to take care of your body, and, ultimately, your life. So accept the challenge. Step out of your comfort zone. You may just be surprised about how comforting that actually feels.